There could be a vote today on a proposal for a NFL stadium in Las Vegas. The stadium committee will be meeting Thursday morning. The Southern Nevada Tourism Infrastructure Committee voted unanimously to approve a 65,000-seat domed stadium in Las Vegas. The proposal will now be sent to Nevada Gov. Brian Sandoval. The committee began meeting early Thursday morning to discuss the plan for the new stadium. Supporters of the stadium are hoping that the Oakland Raiders will move to Las Vegas. The Raiders have already indicated that they would like to move to Nevada and are promising to help pay for the stadium. The proposed stadium will cost at least $1.9 billion. The cost under the current plan would be split between casino mogul and Sands Corp. CEO Sheldon Adelson ($650 million), Oakland Raiders ($500 million) and the public ($750 million). The public's portion of the costs would be generated by a new tourism tax. 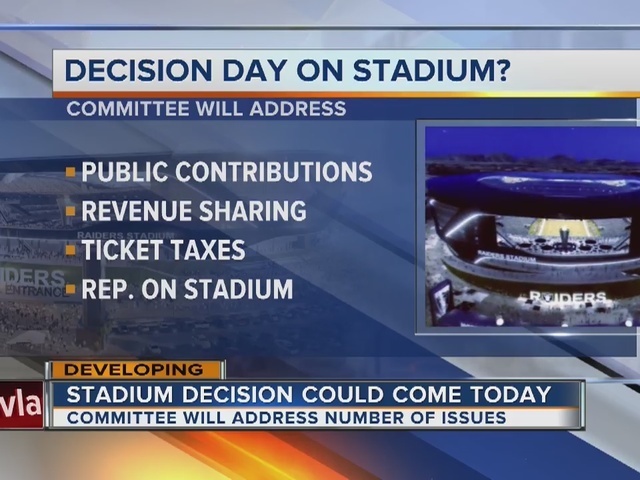 Before the final vote, the committee also voted for no percentage cap on the public's contribution and stadium profits will go to the developers during the lifetime of the lease. They also voted to establish a seven-member stadium authority board. 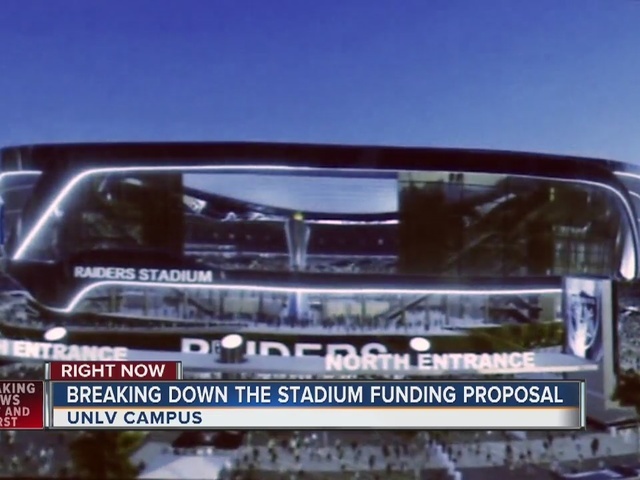 In addition, they voted against approving the Raiders' tax exemption request. Even if lawmakers approve a new stadium, the Raiders would still need the approval of three fourths of the NFL team owners to move to Las Vegas. The NFL vote would most likely happen when the owners meet in January. Dallas Cowboys owner Jerry Jones and New England Patriots owner Robert Kraft have also both expressed interest in Las Vegas as a possible NFL venue.